Today we have a new challenge starting at Tag You're It. 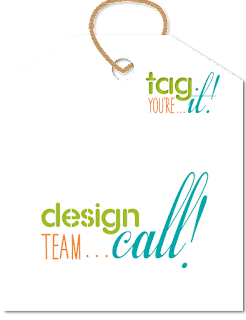 We also are hosting our first Design Team Call as the 2nd term wraps up. We are looking for a few new designers for Term 3 which starts in July. See the Tag You're It blog for details on the call. Our inspiration comes from a tag I created last year to put on gifts for the teachers my daughter was working with when she did her co-op placement in a kindergarten class. The packages contained several handmade cards for all occasions. 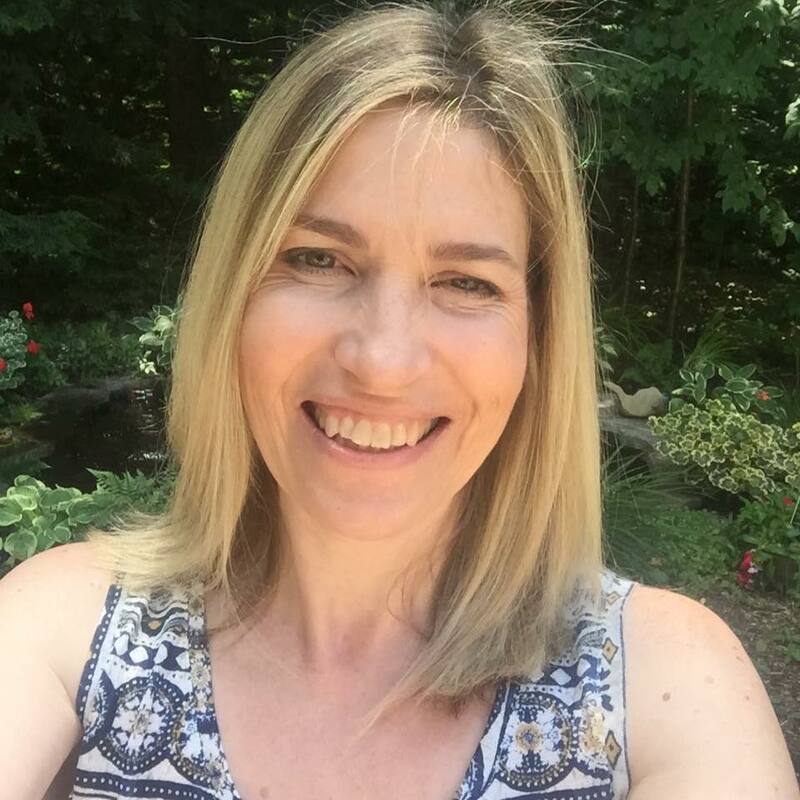 How happy would they be to know that Brooklyn was so inspired by her plaement that she will be attending University this fall to take Con-current Education for Primary/Junior. Such cute tags!! Love this idea! Loveeeeee these!! And how exciting to see that her class inspired her for her future career goals!!!! 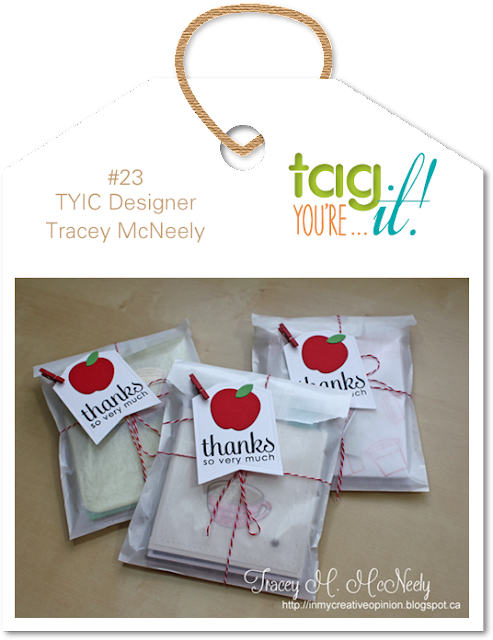 Those little bags and tags are darling Tracey!! Tracey...these are just too darn cute! I love your sweet idea and think I will make these for the teachers I work with for when school starts. What a great gift these make Tracey and I love that the tags are so perfect for teachers. They would be delighted to know that their influence inspired your daughter to follow in their footsteps. Such a lovely gift! And the tag is so sweet!! Super cute! Thanks so much for the great inspiration...had a lot of fun playing along this week!